BMW will build the revised X1 PHEV at BMW Brilliance Automotive’s Tiexi plant in Shenyang, China. Munich/Shenyang. 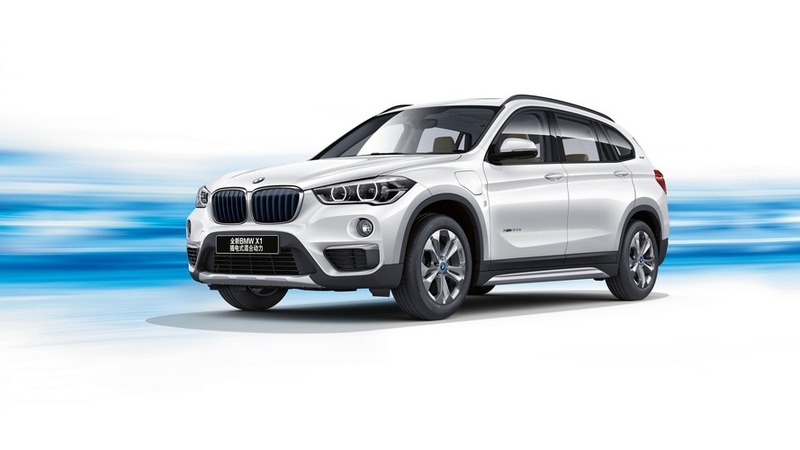 At Auto Shanghai 2019, BMW Brilliance Automotive presents the new edition of the BMW X1 xDrive25Le. Thanks to cutting-edge battery technology, the compact Sports Activity Vehicle (SAV) developed exclusively for the Chinese automotive market with extended wheelbase and plug-in drive now achieves an electrically powered range of up to 110 kilometres*. The efficiency of the new BMW X1 xDrive25Le has also been further increased. Its combined fuel consumption is now some 72 per cent lower than before. Hallmark driving pleasure is also ensured by the hybrid-specific version of the intelligent all-wheel drive system BMW xDrive as well as an extensive range of standard equipment to enhance comfort and safety. The new BMW X1 xDrive25Le is produced at BMW Brilliance Automotive’s Tiexi plant in Shenyang, China. With its significant boost in range and efficiency, the further developed plug-in hybrid model has everything it takes to continue its success story on the Chinese automotive market. In 2018 the BMW X1 xDrive25Le was China's top-selling plug-in hybrid vehicle in the premium SUV segment. The BMW X1 xDrive25Le was conceived of especially to meet the needs and preferences of Chinese customers, while in Europe the BMW 225xe Active Tourer (combined fuel consumption: 1.9 l/100 km; combined CO2 emissions: 43 g/km**) perfectly covers the segment of plug-in hybrid compact models with its all-round qualities and high level of space functionality. The diverse range of models consolidates the BMW Group's position as a pioneer and market leader in the field of electrically powered automobiles. With a market share of more than 8 per cent, the company leads the worldwide ranking of established premium providers of vehicles that are purely electrically powered or run on plug-in hybrid systems. In 2018 the BMW Group was the market leader in the premium segment of electrified vehicles in both Germany and in China. The company sold more than 140,000 plug-in hybrid and electrically powered vehicles sold worldwide – an increase of 38.4 per cent as compared to the prior year. As one of the four future-oriented ACES areas of action (Autonomous, Connected, Electrified and Services/Shared), electromobility is one of the key elements of the BMW Group’s strategy NUMBER ONE > NEXT. During the remainder of 2019 the range of BMW models with electrified drive will be expanded to include the plug-in hybrid models of the new BMW 7 Series (combined fuel consumption: 2.6 – 2.1 l/100 km; combined power consumption: 16.3 – 15.1 kWh/100 km; combined CO2 emissions: 59 – 48 g/km**), the new BMW 330e Sedan (combined fuel consumption: 1.7 l/100 km; combined CO2 emissions: 39 g/km**), the new BMW X5 xDrive45e (combined fuel consumption: 2.1 l/100 km; combined CO2 emissions: 49 g/km*) and the new BMW X3 xDrive30e (combined fuel consumption: 2.4 l/100 km; combined CO2 emissions: 56 g/km**). In addition, the very latest battery cell technology provides a boost in terms of range and efficiency for the BMW 530e (combined fuel consumption: 1.7 l/100 km; combined CO2 emissions: 38 g/km**) and the BMW 225xe Active Tourer. State-of-the-art battery technology with a high level of energy density. The increase in range by 83 per cent as compared to the predecessor model and the reduction in fuel consumption by 72 per cent to 1.3 litres per 100 kilometres* were made possible by the very latest advances in the area of battery cell technology. The new BMW X1 xDrive25Le features a lithium-ion high-voltage battery, with battery cells produced exclusively based on specifications defined by the BMW Group. The further increase in battery capacity was the result of sound research and development work as well as close cooperation with the battery cell manufacturer. In the new battery cells, the ratio of nickel, cobalt and manganese in the anode material is 8 : 1 : 1. The expanded nickel share increases energy density, while the reduction in the cobalt component means that less rare earth material is required. Despite the fact that the design is still compact, the weight of the battery – which is positioned at a very low point in the vehicle floor – is only increased by 2.5 kilograms. Like the vehicle as a whole, the high-voltage battery is manufactured at the Shenyang site. The progressive drive technology and versatile driving properties of the new BMW X1 xDrive25Le are combined with exceptionally generous interior space and particularly high-quality standard equipment. A high degree of driving pleasure, safety, comfort and luxury are ensured by such features as a large panorama roof, the BMW navigation system with 10.25-inch touchscreen and natural voice recognition, LED headlights and the Parking Assistant.